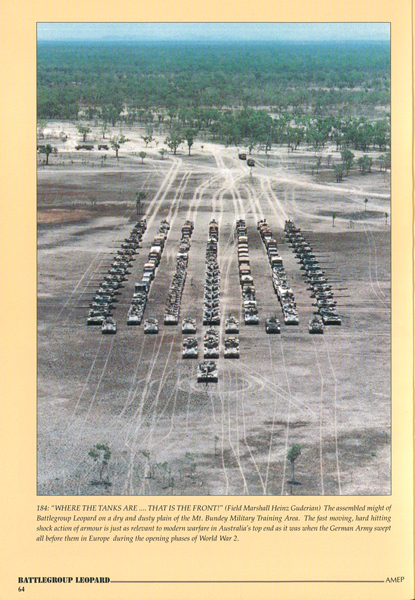 Mike Cecil is an Australian researcher and writer who has already published five books including a series of Australian Military Equipment Profiles which provide detailed coverage of Australia's military heritage including Australian Pattern Armoured Cars, Carriers and early use of the M113. 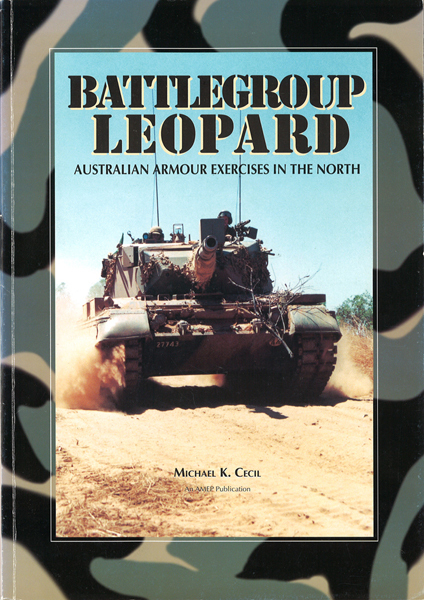 For those of us who love the Australian Leopard AS1and other members of the family - and there are a lot of us - this book is an absolute must! 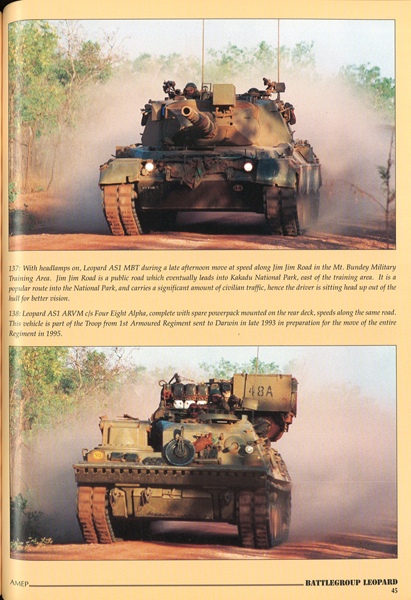 Battlegroup Leopard is a lavishly illustrated full-colour photo profile of Exercise Northern Predator which took place in late 1994. 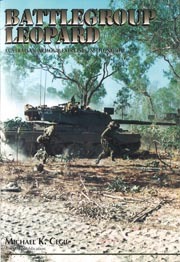 The book centres on 1st Armoured Regiment which is Australia's only tank regiment. 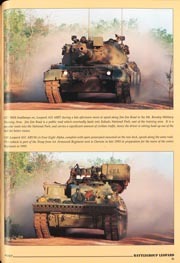 Exercise Northern Predator took the entire Battlegroup Leopard, plus supporting elements from other units, to the heat and fine red dust of Northern Australia in 1995. The fine dust in the exercise area caused its own problems with the slightest vehicle movement creating large clouds which would penetrate and abrade anything mechanical. 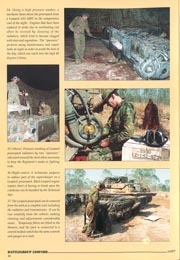 Daytime heat inside the armoured vehicles could reach 50 degrees Celsius causing stress to both vehicles and crew, so activities such as much-needed maintenance had to be carried out during the relative cool under dark evening skies. The introductory text is only one page long, but the remainder of the pages are filled with over 180 photos with detailed captions providing plenty of information along the way. Approximately 50 per cent of the pages in this book have photos of Leopard AS1 or ARVM in the field. 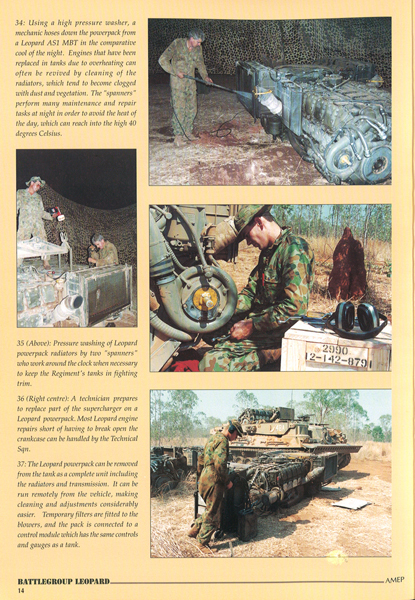 These include rare pictures of the Mine Plough (see LeopardFact File LFF06) and a series of the ARVM recovery vehicle in action. The AVLB is also included. A good range of colours and markings are displayed from overall olive drab to the standard three-colour scheme. 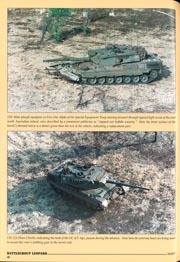 Some are even camouflaged in local mud as a disruptive pattern to blend into the scenery. We must not forget the other 50 per cent of the photos in this book. 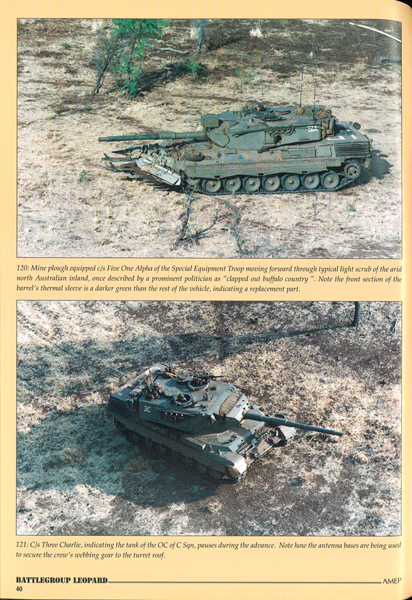 You will find excellent photo coverage of other vehicles from supporting units including numerous versions of M113, ASLAV, M548, M577, Land Rovers, Unimogs, Mack trucks, bulldozers and even field kitchens and portable shower units. Leopard Club is very happy to stock this amazing book which is still one of the best references available on modern Australian armour and support vehicles. 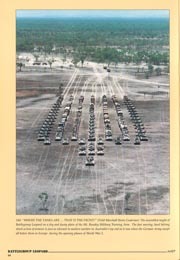 The attractive setting of northern Australia only enhance the photos in this book, with many air-to-ground pictures making for numerous different angles on the subject matter.